Here at Papermilldirect, we stock a selection of purple printer paper, available in various shades. Take advantage of choosing between calming lavender or tranquil lilac purple variations, each of which come in reams of 250 or 500 sheets. 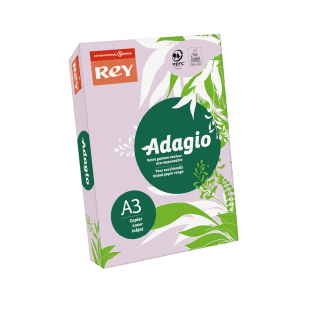 Manufactured by Rey Adagio, each ream of purple copy paper meets the standards of PEFC™, the FSC®, ISO 9706 and also EU Ecolabel, so you can sure that this paper was manufactured from sustainable forests. Ideal for both administrative use as dividers, brochures and leaflets, as well as for arts and crafts lessons, our incredibly versatile range of purple printer paper is guaranteed to suit your requirements. In addition, you will also be able to benefit from both inkjet and laser printing compatibility, ensuring that you won’t be restricted when it comes to the utilisation of this type of paper. As coloured paper has been shown to assist people with dyslexia, our purple copy paper is also suitable for this purpose, whether for paperwork use, or for educational worksheets. 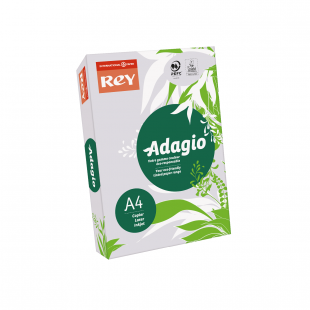 Available in both A3 and A4 sizes, you can be at ease in knowing that they are ideal for a wide range of uses when you purchase one of our reams within this range. You may also wish to complement your purchase of our purple printer copy paper by choosing to pair it with our range of envelopes, including the luxury C6 lavender envelopes. If you are undecided on which colour of paper to choose or are in need of being able to match your choice of colour to reams you currently use, take a look at our range of samples. If you need to buy in bulk to supply your office or educational department, you will also be able to take advantage of our FREE delivery on orders over £60. If you would like to know more about a particular ream of purple printer paper that we currently stock, please enquire with us today. You can get in touch with us by phone on 01539 735 252 or alternatively, send your query to us by filling out and submitting our online contact form.